1st you can use just the weight of the actual lure itself to get your baits in front of the fish you are trying to catch. Each type of lure has different shaped lips in front of the actual lure. The purpose of the lip on a lure is to get the lure itself down to a specific depth with a specific amount of line out behind the boat. Now Depending on the amount of line you put out will determine how deep each lure will dive as per the manufacturer’s specs. Most companies will base the accuracy of each lure by comparing the depth of each individual lure with 100ft of line out behind the boat. Once you go beyond a specific amount of line out, the lure will no longer dive any deeper, it is at this point if you wish to dive a bit deeper or even change the angle of a specific lure that you may find the aid of a diving apparatus helpful. Some of the most common diving apperatuses are, Down Riggers, Dipsy Divers, Jet Divers, Bottom bouncers, Torpedo Weights, Inline weights, Snap weights, and Now this year Tadpole Weights. To start off with this week I will talk about Down Riggers. I will post a different blog about each diving apparatus over the next 6 weeks until I have covered all the above mentioned techniques. 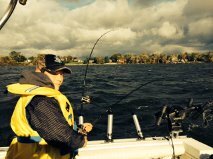 Down Riggers can be a very useful tool, especially during the hunt for the Trophy fall walleye here on the bay Of Quinte. This is where Anglers put their baits, usually a small lipped or shallow diving bait 15ft to 50ft behind their boat and use a very heavy weight called a cannon ball, usually between the 8 to 12 lbs range, to get their bait down to a very specific depth in the water column. Although a very effective tool, a down rigger can be costly, they can run anywhere from $80.00 for a light duty hand cranking one to a very expensive top of the line $800.00 machine with all the bells and whistles, and the weights themselves can run anywhere from $20.00 to $100.00 plus, each. If an angler needs to get bait down anywhere from 15ft to 200ft it is very easily achieved by using a rigger. Anglers have been using riggers for years and for good reason, They Work. This Weeks Tip Of The Week Is line counter reels. 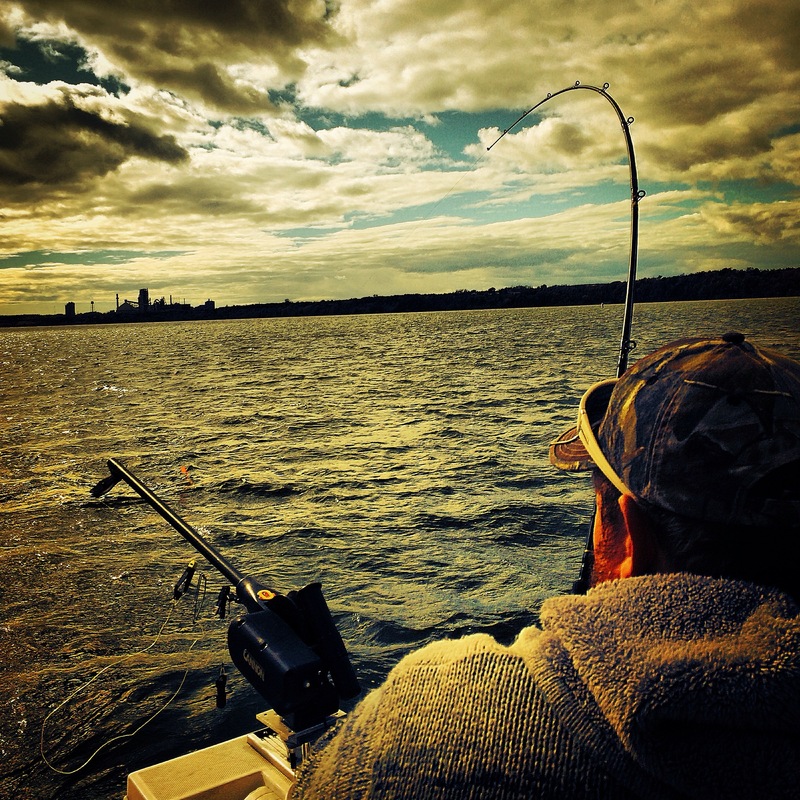 I personally think that you must have a line counter reel when trolling for Walleye in general. This is not just a spring tip for The Bay Of Quinte, but a must have year round for all your trolling applications. when setting up your trolling set up it is crucial to know exactly how much line you have out, how far back you have put any diving apparatuses, and how far out your planner boards are. once you have figured out what the fish are biting on it is absolutely essential that you are able to repeat exactly what just caught that fish. The only way you are going to be able to achieve this is by using a line counter reel. Once you find the right combination to catch the fish repeat it on all the rods in the boat and you will catch more fish. Many of the lures you use have a max depth that they run at with a certain amount of line out. Much of the time they will come with charts telling you exactly how much line you need out and at what speed to achieve a specific depth for a specific lure. So now, paired with your sonar, this can be a very effective combination to get those fish into the boat. All you have to do is look at your sonar find out the depth in the water column the fish are at, then look at the lure chart and find out how much line out you need to get that lure down to the right depth, then by taking any guess-work out of the equation use a line counter reel and you will be right on the money. When choosing a good line counter reel make sure that what you choose has a few of the fundamentals. Make sure it has a good loud clicker, this allows you to know there is a fish on the line. You will want to make sure you have a strong gear and drag system, and know the species of fish you will be fishing for. 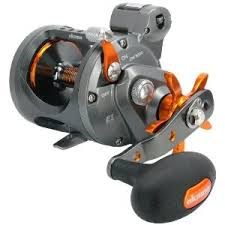 Reels come in many different sizes, this is important to know because you want to choose a reel that will hold enough line that you will be using for that species of fish, for example for Walleye I would go with a size 20 reel, while for Salmon I might go with a size 30 or even a 45.